Harry Potter learns on his 11th birthday that he is the orphaned son of two wizards and possesses magical powers of his own. At Hogwarts School of Witchcraft and Wizardry, he learns the high-flying sport Quidditch and plays a thrilling "live" chess game en route to facing a Dark Wizard bent on destroying him. 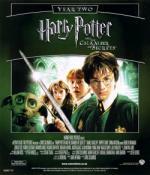 This is the only Harry Potter movie that I have seen before. I have even seen it at the cinema. But I haven't seen yet any of the others and I also haven't read the books. I never had the urge to. When the complete movie series was on a Black Friday deal, I just thought it is time that I check these movies out. 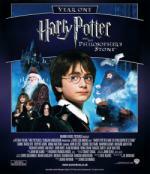 I enjoyed the beginning of this movie, but once Harry got to Hogwarts, it just became kind of boring and without suspense. It has the feel to just going along to have story points from a book covered without any real feeling to it. This is why I never bothered with the rest. I hope it gets better. Cars fly, trees fight back and a mysterious house-elf comes to warn Harry Potter at the start of his second year at Hogwarts. Adventure and danger await when bloody writing on a wall announces: The Chamber of Secrets has been opened. 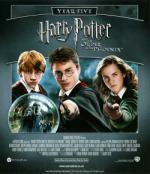 To save Hogwarts will require all of Harry, Ron and Hermione's magical abilities and courage. I enjoyed this one more than the first one. At first I feared that this movie would end up with the same fate as the first one, because I really liked the beginning (even more so than in the first movie), but I got bored as soon they entered Hogwart. But thankfully the movie picked up again and I enjoyed the end of it. I don't think I saw your first review .. if so I probably would have said something. 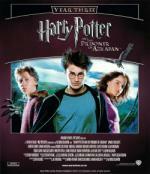 The Harry Potter series starts off very directed toward juvenile adults but I think quickly get better and better. Having read the books before the movies came out I was always fascinated in how the characters and situations were shown and how they related to what I saw. I think Harry Potter gets, very much like the Twilight series, a bum rap .. by the end of the last movie visually i think it is very very good. 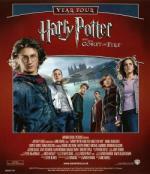 In their third year at Hogwarts, Harry, Ron and Hermione meet escaped prisoner Sirius Black and learn to handle a half-horse/half-eagle Hippogriff, repel shape-shifting Boggarts and master the art of Divination. Harry must also withstand soul-sucking Dementors, outsmart a dangerous werewolf and deal with the truth about Sirius and his relationship to Harry and his parents. What was with the trip for which Harry didn't have a permission slip? Did I miss something or did that just not pay off? One scene he was not allowed to go with. Instead he has some heart-to-heart with a professor. The next scene the others are back and the trip was not talked about. It was just like he didn't miss anything important. The trip is talked about a bit more in the book..Ron and Hermione brought him back stuff from the candy store..maybe something from the joke shop too. That scene was in the deleted scenes section of the Blu-ray. But was that really all the pay-off? They made such a big deal out of it. First when he tried in vain to get the permission slip signed by his uncle. And then when he wasn't allowed to come with. For me it seemed like something which could have been easily been left out of the movie. The permission slip was for a Christmas trip to Hogsmeade IIRC. Hogsmeade is an all-wizard town close to Hogwarts. I don't know if it was in the movie but in the end he got it. Signed by his legal guardian Sirius Black. One thing that definitvely wasn't in the movie was the origin of the Marauder's Map. It was signed by "Moony, Wormtail, Padfoot, and Prongs". They learned to become Animagi so they could be near Moony when he turned into a werewolf. What's also not in the movie is the shape of Harry's Patronus charm. In the movie it looks like an energy wave forcing the dementors off. But in fact it has the shape of an animal or somtehing other. Harry's Patronus has the shape of a stag, the shape his father turned into. At the very end of the series it's also revealed what Snape's Patronus looks like. Abraham Lincoln once said The trouble with quotes from the internet is that you never know if they're genuine. Harry Potter is mysteriously entered into the Triwizard Tournament, a grueling contest among three wizarding schools in which he confronts a dragon, water demons and an enchanted maze only to find himself in Lord Voldemort's grasp. All will change when Harry, Ron and Hermione leave childhood forever and face challenges beyond their imagining. I quite enjoyed this one. Even if it dragged a little. For me the flow sometimes seems a little bit off. Also a little unconvincing was Ron's dislike of Harry in the beginning. This movie co-stars Twilight's Edward. And yet you failed to recognize the Tenth Doctor. But isn't it in the movie, that because harry can't leave the twins give him the Marauder's Map so that he can leave anyway? Which is basically the payoff, as if he were allowed to go they wouldn't have given him the map. Fred and George do give Harry the map. The names are shown too even - Mooney, Wormtail, Padfoot, and Prongs...at least I think they are. But there is no explanation for who they are. In one of the later movies, other characters call Peter Wormtail, but it was never explained as well as it should have been. At one point in Prisoner of Azkaban, Harry's partronus is briefly shown as the stag..but it is very brief. The book does a good job of explaining things with the map and the fact that James turned into a stag when he transformed into an animal. The movies never really say that James could do that. In the other movies, when Harry does the patronus, it is just the wave of light, or a floating ball of light which ticks me off. His partronus is a stag, not some floaty ball of light or wave of light. The movie also leaves out the fact that Sirius signed the permission slip for Harry to be able to go to Hogsmeade. There is more with Sirius and sightings of him around Hogwarts in the book. That wasn't handled as well as it could have been either. And don't even get me started on Hagrid's house and the whomping willow changing locations completely. That was just ridiculous. That sort of thing bugged me in movies 3 through 8...things at Hogwarts suddenly appearing or not being used again. The continuity for that stuff could have been better. And don't even get me started on Hagrid's house and the whomping willow changing locations completely. I totally forgot that the Whomping Willow had a reason for being on Hogwart's grounds and standing exactly where it's standing. Another thing they left out of the third movie. The third movie is when they start cutting out explanations that I think are needed. Most of the time, those explanations would have just taken a few minutes, and it would have made certain things so much clearer to people who hadn't read the books. The rebellion begins! Lord Voldemort is back, but the Ministry of Magic tries to keep a lid on the truth – including appointing a new, power-hungry Defense Against the Dark Arts professor at Hogwarts. Ron and Hermione convince Harry to secretly train students for the wizarding war ahead. A terrifying showdown between good and evil awaits! I didn't enjoy this one as much as the last ones. The characters came off as a little uneven. Also the story wasn't really that interesting. Also for me it came out of nowhere that Harry Potter suddenly is such an experienced wizard that he could teach all the others.